See? This is the stadium. This is graduation at RIT. See the 3 big screens? There were at least 8 sign language interpreters scattered through the audience. It was big. Graduates. Some of them. There were lots. See yellow honor cords? See various indications of academic regalia? Quite an intelligent group. It was an exciting day. Congratulations. 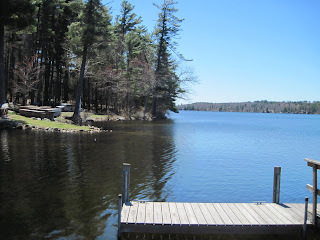 So I'm back home in Maine, but want to write about graduation. My son graduated from the Rochester (NY) Institute of Technology (RIT) last weekend: a bachelor's degree in mechanical engineering. I went to the graduation ceremony. It was held in a sports arena, an enormous structure, like a football stadium I guess. It could certainly accommodate thousands of people. RIT is a big school, and there were 6 graduations that day. I went to the graduation for the school of engineering. There were PhDs, Masters, and Bachelors receiving degrees. There were many welcoming and hopeful speeches. My son's significant other (J) and I went down front to wave to my son, take pictures, and text him. J is also a graduate of RIT and is halfway through a PhD program. She's a delight: smart, beautiful, fun, polite, and focused on success. So my son. He's amazing. He went from a tiny town in Maine to this big school, this tough 5 year engineering program.... and he thrived. He participated in sports, earned honors including a 4.0 average his first and last semesters, worked, and created a relationship with a wonderful woman. Isn't that amazing? And he graduated. He did it! I'm so proud. Of course I'm proud of both of my sons, and I'd love to brag about the younger one, M, who is also fabulous and accomplished, but this post is about E. Congratulations, E. You are amazing and wonderful. Best wishes on the next phase of your journey. Mint leaves and new tea infuser. I made sun tea today. Put fresh mint leaves into the basket, placed the basket inside the cup, and poured in cold Maine spring water. The mint was from J's mom, from their backyard in NY. Then I placed the cup on the dash of the car and went to a conference. Drove home, whacked some weeds, drank the tea. It had a delicious tangy mint taste. Sun tea! Do reiki, share reiki, or be reiki? Or something else.... what do you say? Do you send energy, focus an intention, or simply tune into reiki? I keep trying to figure out what it is and how to describe it. Hmmmm, maybe I should just be. Be reiki. Yes, we made it to the Lilac Festival. There was sunshine and heat. There were crowds, ponies, and vendors. Oh, and tons of lilacs: all colors, heavenly scents. Maxi, mini, some bushy, some scant branches. It's spring busting out after months of bitter winds, snow, and dreary rain. We ate lobster foccacia and artichoke & kale salad. We wandered through the lilac orchards. We looked at dogs, kids, and monkeys. Wait, no monkeys. Lilacs, Rochester! Ever been to a Lilac Festival? I haven't but it's one of several plans for the day. I'm in Rochester NY for my son's graduation from RIT. We hope to make it to the Lilac Festival in Highland Park, 120 acres of lilacs. Races, parades, vendors, musicians, Farmer's Market, wine tasting....it's warm, but a little cloudy; a little sun would be good. I'm in a hotel in NY. Just checked the sheets for bed bugs. Little brown dots, right? See bed bugs on WikiP for an awesome pic of the "skin-piercing mouthparts ." Drove 520 miles today. Used my new EZ Pass, see post. It was cold and overcast in Maine. I brought my winter jacket. Started driving and it started to rain. At times it rained so hard I could barely see the lights from the car in front of me. It was like driving in a carwash. And the construction. Wow. I guess this is the time to rebuild roads. But hey, I'm paying a lot of money to drive on this road and when you cram me into 2 lanes between cement barriers and expect me to go 60 miles per hour it's a little scary. Sometimes it rained so hard I thought the windshield might break. The scariest part was the double trucks. I don't know what they're called, but they are double. One cab and two enormous backs hitched together. The back part sways into the other lanes. Scary. Then the sun came out. It was hot and I had to turn on the AC. I saw blue sky and the sun - - amazing after what feels like 6 months of winter and one month of rain. I saw a dead deer beside the road. I saw a crow feasting on a dead turkey. I saw a hawk soaring overhead. Saw lots of rolling green hills and old silos, old barns. Listened to the radio. Pres Obama gave a speech, preceded by Hilary Clinton. They talked about Tunisia, Egypt, Israel, and Palestine. Someone else talked about JeanPants. The best parts were Bob Dylan songs: music of my life. Here's a cool thing. The EZ Pass. You just slow down, you don't have to get in line and stop. You don't have to carry cash. Just breeze through. And here's the really cool thing. It's in New Hampshire. There's a separate lane for EZ Pass and you go through at 65 miles per hour. The Higgs Boson particle performs alchemy: turns energy to mass. It's called, "The God particle." Went to a career fair today to talk about being a nurse. Talked to 7th graders; there were six groups of 15-20 students and a teacher or two. I told them about the educational requirements, licensing examination, and usual salary. They asked if I ever got scared, so I told them scary and gross stories. They asked, "What is the best part of your job?" So I told them that nurses make a difference in peoples' lives, never get bored, and make gobs of money. Question of the day: "When you were younger, did you ever think of moving up to doctor?" Someone walked through my garden, and crushed some young pea plants. This someone had small feet. Walked right through the garden. Oval prints. Long toenails. The backyard is fenced in. Told the dog to keep watch. Wait a minute. Went to Portland to visit my son. He's just back from a Florida vacation, so I needed to see him and give him a hug. I gave him a ride home from work, so he wouldn't have to walk in the rain. 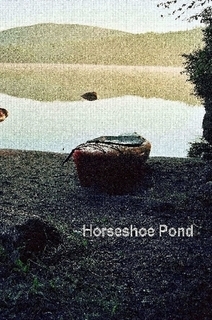 Gave him a book to read, Horseshoe Pond, by Andrew Flint. Then I went to Whole Foods, to shop and eat. What a variety! There was a sushi bar and a pizza window. There were several self-serve stations too. Mediterranean with humus, falafel, and yogurt. There was vegan, with soba noodles and soy. There were 2 giant salad bars. There were meat stews. Mexican, and Italian. I walked around 3 times, looking. Then I chose eggplant Parmesan with spaghetti, and broccoli with guacamole and salsa. $7.99/ pound. I bought grapefruit, strawberries, and chocolate. Drove home in the cold rain. Saw a cardinal in the lilac bush. This is Charlotte LaBelle's new Reiki business. It's located in Norway, Maine. What a beautiful, calm room. What a compassionate, dedicated, intuitive Reiki practitioner. There was an open house there today. Crowds of people, a woman playing a harp, platters of cupcakes and tarts, soothing rooms, and interesting art on the walls. Check it out! 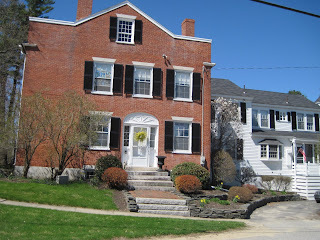 180 Main St, Norway, ME. Studying these three people all day. Usui, meditating on Mt Kurama in probably 1922, came up with the whole reiki deal. He called his practice "The Secret of Happiness." Chujiro Hayashi was Usui's student, and one day Hawayo Takata came to Hayashi's clinic. She became his patient and then his student. Takata brought the practice back to Hawaii. She shared reiki in practice and teaching for many years. Most practitioners in the USA today come from this lineage. Thank you to the big 3: Usui, Hayashi, and Takata. Wish you could smell these. I don't know what they are, but they smell like spicy oranges. Heavenly. I was walking the dog, walked by this pretty bush and stopped, wow! The aroma.... ahhhh... after 6 months of winter. Life is blossoming again. A remarkable story of a young man, a year in the life, a dreamy poetic coming-of-age story. Went to a social event this week, and everyone was talking about it. Read it! 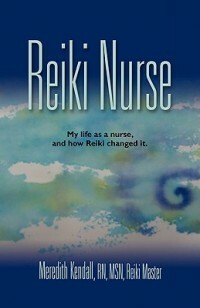 Reiki Nurse.... read it now! Am working on a sequel: more stories about reiki and nursing. click on this link: Reiki Nurse. Just finished it. So many new ideas, new ways to think. "Past lives" are lakes we can dip into at any time. We can lighten up, hold harmonies, and join together to love, learn, & serve. Our solar system has evolved and will soon be awakening to a new dawn. Read it to find out how. This book, as all her others, is amazing. I planted way too many peas. I like peas. I can give them to neighbors, and freeze them, right? Planted 3 rows in the garden and they poked up yesterday. Blip, up! In a moment of brilliance, realized the lattice walls of the summerhouse are perfect for peas. Planted peas all around the summerhouse. Will plant morning glories too, in a couple of weeks. Hmmm, wonder if cucumbers would like the lattice walls? The pea package says they may grow 10 feet tall. Oh. How will I harvest them if they are that tall? If I have one, if we don't all ascend to the 4th dimension next year, if I have one this is what I would want. Friends & family in a big field. Or maybe a mountaintop, or a beach. In nature. There should be food and beer. Water & juice. Talking & laughter, kids running around. People could tell stories, read poems, meditate. Live music would be fab. Otherwise, I like "Many Rivers to Cross" by Jimmy Cliff, not so much the lyrics, but the tune is perfect for a funeral. And Amazing Grace, always loved that song. Let there be peace on Earth, and let it begin with me. I hope to live to 100, at least. As long as I have a healthy body & mind. 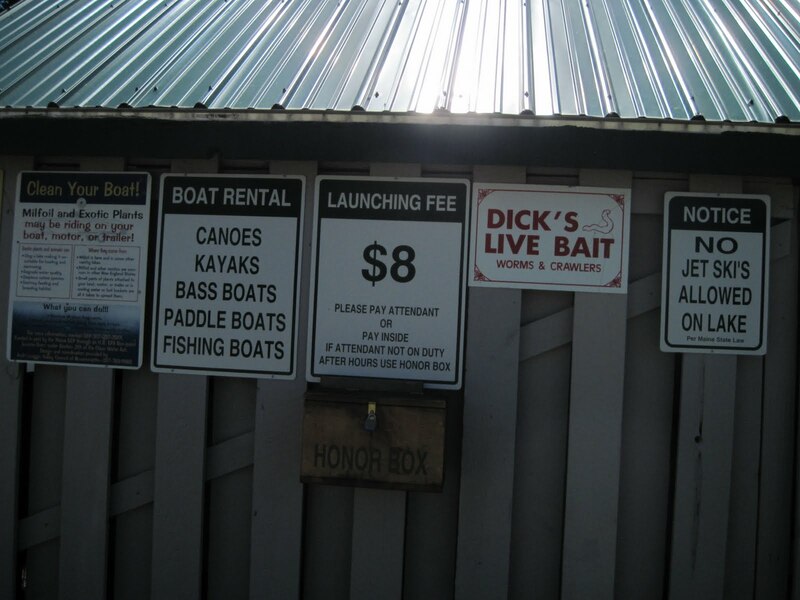 Otherwise, DNR, and funeral as above. And cremation, with ashes placed on fields & flower gardens. Thank you. also listening to The Smiths, Mumford & Sons, Iron & Wine and have an embarrassing addiction to Glee. Sorry, Bob. We got rained on, a bit, at first. Then the sun came out. Either way, we needed the fresh air after all the grief, tears, and prayers. 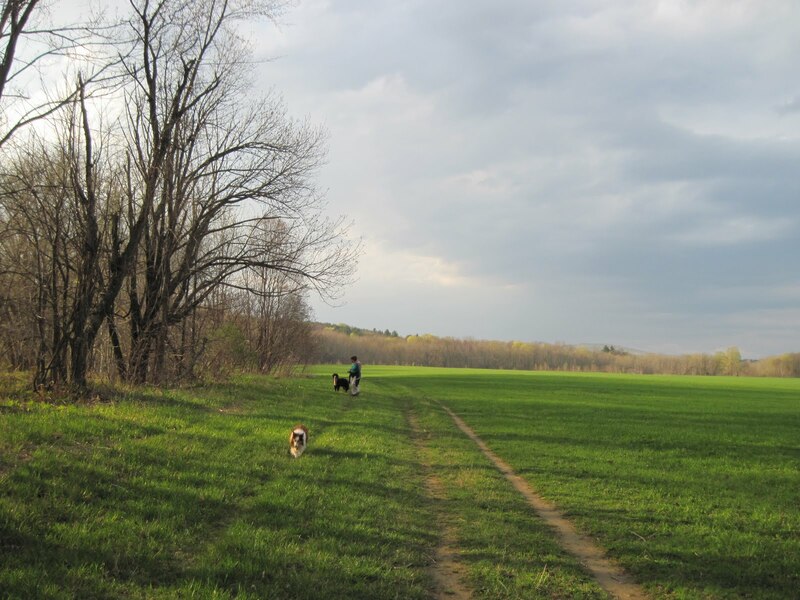 We needed the joy of the dogs; the rebirth of green. Went to a funeral today. She taught me the power of kindness and cheer. She was always friendly, always smiling. It was hot and sunny when I walked into the service. Thunder rolled during, and then rain pounded. I had to run out to close my car windows. Went to the fellowship afterwards and sat at a table with friends of 30 years. B, we were cooks together. M, we met in childbirth classes 24 years ago. L, went to high school together. I buy her Happy Eggs from Happy Chickens every week at N's store. Other L, met her when she was in college. D, my psychic. N, dear friend. Love them all. Afterwards we walked along the river: 4 women and 3 dogs. Ellie, a sweet Bernese Mountain dog; Gabe, a 67 pound grey levitating poodle, and Fluff:, 25 pound Sheltie. Thunder turned to sunshine. Grass was unbelievably green. Gabe loped into the river and turned, disbelieving, that we weren't joining him. N inspected every leaf, every stone. I took pictures of the light, the dogs, and the friends. When you go to a funeral, you want to hug your friends. Admit you love them. Hold them close. Isn't it all about the light? My passion: to spread light. That's why I teach and do reiki. Light a candle in a soul, add to the web of light around our world. That's why I photograph light. That's why I focus my intention on hope, faith, love, & connection. Just for today: walk in the light. Just wish all the soldiers would lay down their weapons. Wish we could be farmers instead of soldiers. With a web of love & light. So I'm working on my next book. I have one big cohesive idea, but I keep getting sidetracked. I like to write way more than I like to edit. I think my book is about one thing: teaching reiki, but my editor sees something else: interacting with people. It was a sunny day. Happy Beltane! Perfect 60 degree temps, new grass and flowers. I drove to Portland, for a holistic mystic fair. Months ago I'd agreed to meet someone there. While there I had my aura photographed and a tarot card reading. My aura was red, "Your spirits are here!" The tarot reader was plain and beautiful. No flash, no bells and whistles, not even a sign with her name. Just a tablecloth and a deck of cards. She had clear skin and shiny hair. She asked, "Are you a healer?" And said, "You know a lot. You should write a book." She said lots of things. I drove north. Stopped for lunch in Poland. Had a grilled portobella sandwich and sweet potato fries with lots of ketchup. Passed on the pie. 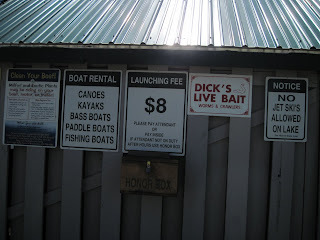 You can rent a bass boat. Kept going north, to the home of my editor. This house is nearby. She lives in a great neighborhood. Love this house. 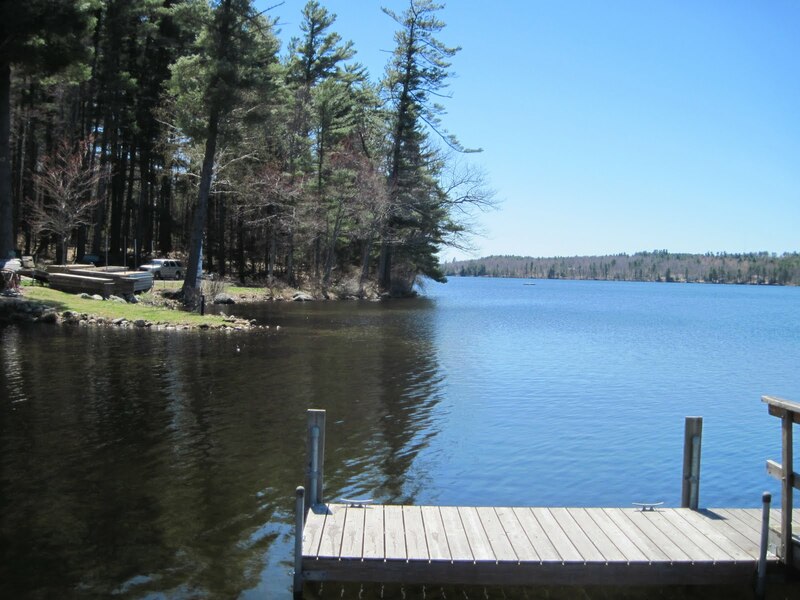 Love the view of the White Mountains. People up here act half their age. They sprout notable ideas, careers, and fortunes. My editor advised. Have a lot of work to do on my next book. Better get to it.